Posterior fixation for the thoracolumbar spine is a procedure intended to provide (re)alignment and stabilization of spinal segments throughout the healing process, allowing fusion to occur. The treatment goals of posterior fixation surgery, whether it be an open, MAS, or hybrid technique, are generally recognized to be the same. These goals include decompression in cases where there is nerve compression, realignment and restoration of sagittal balance in cases where there is clinically relevant deformity, and stabilization and/or fusion in cases where there is instability. 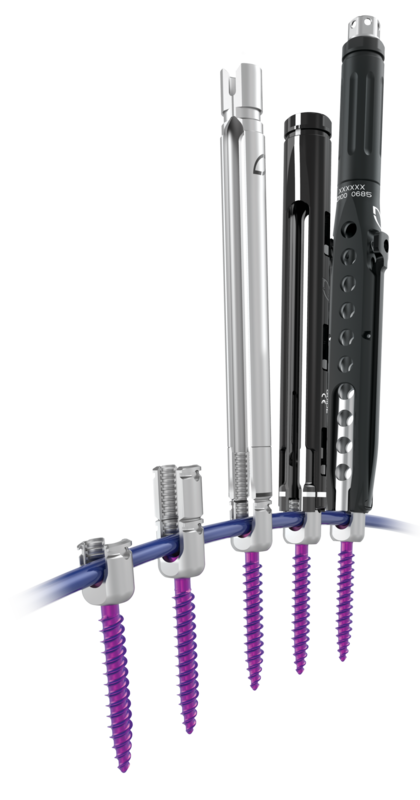 The NuVasive posterior fixation portfolio represents an evolution of posterior fixation technology designed to facilitate the preservation and restoration of patient alignment, while addressing a vast array of spinal pathologies from an open, MAS®, or hybrid approach. Learn more about what you can expect before, during, and after a posterior fixation surgery by downloading the patient education brochure. Is Posterior Fixation right for me? Your physician might determine posterior fixation is a good option for you if you require additional support for your fusion procedure. Interbody fusion is a surgical technique that attempts to eliminate instability in the back. "I don't have any restrictions. I couldn't ask for better results."